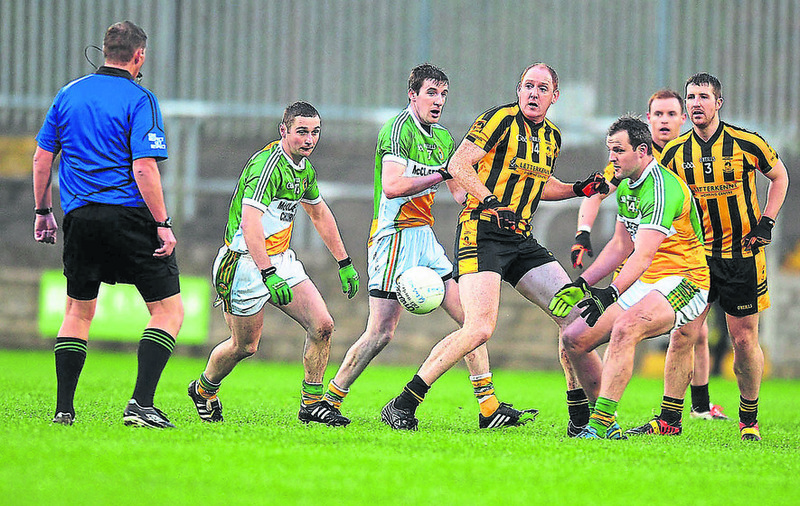 GLENSWILLY came out on top in a dour All-County Football League Division One clash - but one that might talked about for a long time all the same - against St Eunan's on Saturday. 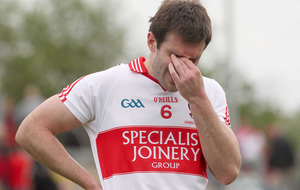 A starred fixture, with Donegal's All-Ireland round 4B Qualifier against Cork to come on Saturday and both teams without a host of regulars - St Eunan's missing list is at 21 players either working, playing abroad or injured, with Glenswilly without Allstars Michael Murphy and Neil Gallagher and a handful of others - the contest was drab in the extreme. The fixture was brought forward from 3pm to 12pm to accommodate the Tractor Run, a charity event for the Glenswilly Chapel Restoration fund. Those who didn't learn of the change in time were probably better off. It was the kind of game where people didn't ask how long was gone, they only wondered how much time was left. The final score, though, only tells half the story. Five points is a very poor collective return, but the main reason for that low total wasn't blanket defence, more some particularly poor shooting from both teams. There were plenty of scoring opportunities, with very poor execution shown. That said, at one stage in the second-half when the play was, well, a little lateral, there was a shout from the home support on the hill taken from Six Nations mode: "Come on ref, that's surely a forward pass." Over the course of the hour, Glenswilly hit 15 wides and dropped three balls short into the hands of St Eunan's goalkeeper Sean Daffan. At the other end, David McGinley's Eunan's were as wasteful, with 12 wides, two shots hitting the upright and four balls not having the legs to get over the crossbar. 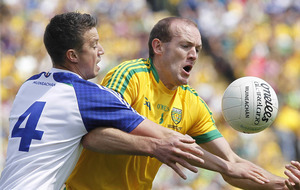 Between them, Glenswilly and St Eunan's have won eight out of the last 10 Donegal Senior Football Championships and have had some climactic battles in recent years. Saturday's was not one of them. Referee Martin Coll, a former player, adapted a liberal enough attitude and let the game flow when he could. Neither set of players nor supporters were unhappy with that approach and, although there were a couple of minor flashpoints, it made the contest better for it. Glenswilly scored all three of their points in the first-half, with Cathal Gallagher opening the scoring after 14 seconds and then adding a free. Gary McFadden put the home team 0-3 to 0-0 up on 25 minutes and St Eunan's finally got on the scoreboard in the 30th minute of the half when Conor Parke joined the attack to score. The only point of the entire second-half came from a Conor Gibbons free for St Eunan's on 45 minutes. From then on, the Letterkenny team fluffed a litany of chances to level, just as their hosts couldn't find the target to put some sort of daylight between them. 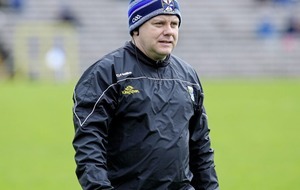 Glenswilly brought on goalkeeper James Gallagher to enable Philip O'Donnell to be repositioned in the full-forward line. 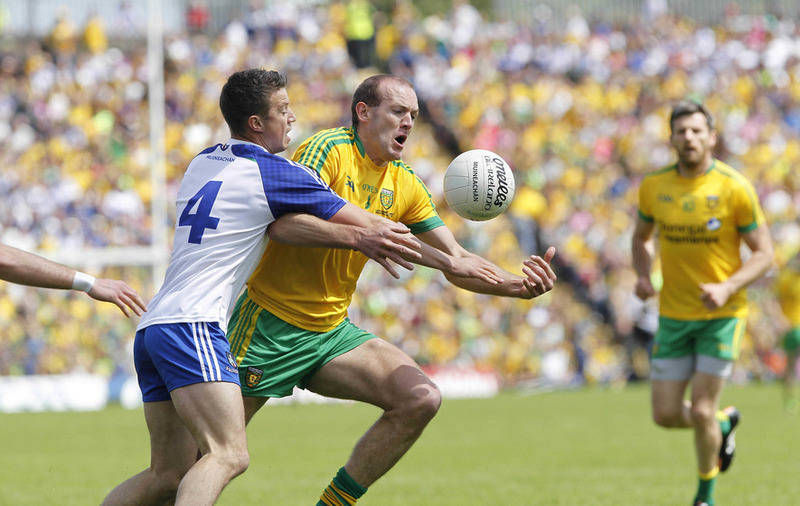 In the end, it was two vital points for the side managed by Michael Canning at the bottom of the table, but few could have predicted the final scoreline. Glenswilly: P O'Donnell; P McFadden, E Ward, M McAteer; C Kelly, R Diver, A McDevitt; C Gallagher (0-2, 0-1 free), G McFadden (0-1); J Gibbons, D McGinley, C Gibbons; C Marley, K McFadden, C McMonagle; Subs: E Sweeney for Marley (23), C Bonner for McMonagle (35), J Gallagher for Sweeney (52). 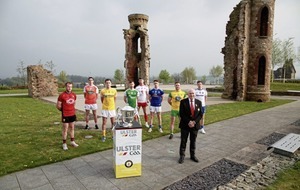 St Eunan's: S Daffan; C Parke (0-1), D McWalters, D Sweeney; K Sharkey, N McClafferty, M Forde; D Gillespie, S Hensey; D Tyrrell, S McVeigh, O Clarke; C Dunne, J Haran, C Gibbons (0-1 free); Subs: J Whelan for Tyrrell (54). Referee: M Coll (Gaoth Dobhair).